Set a change in pace and put quality of life at the top of your list. Located on the corner of Palm Avenue, and privately and securely set-back from the road, 217 Fitzherbert Avenue presents a unique opportunity to enjoy a spacious 284m2 family home with features simply not replicated by todays 'land and build packages'. If your family is seeking a special home, of value, class and timeless style, this home is for you. 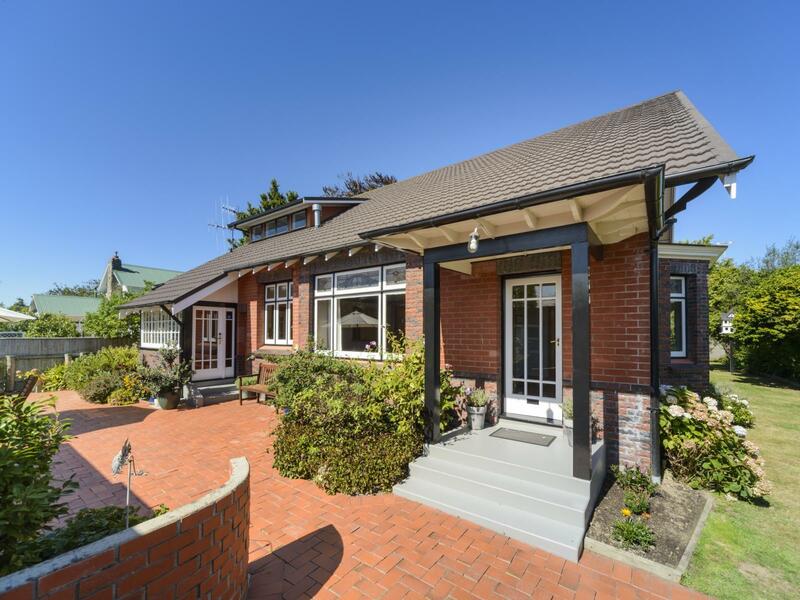 Lovingly retained in their original glory, the rimu and matai timber-work, classic high stud, ornate ceilings, stunning leadlight windows and bevelled glass offer a warmth that is sure to impress. Though built in the 1930's, the modern conveniences you have come to expect are all here; gas infinity hot water, dishwasher, heat pump, insulation and automatic garage-door openers. A real family home featuring four spacious bedrooms, with a choice of an upstairs or downstairs master bedroom - perfect for future proofing, or intergenerational living. A family bathroom supports three bedrooms upstairs and a further bathroom downstairs with the laundry. A real entertainers home, boasting a well-equipped kitchen flowing to the formal dining room and family living area. A formal lounge provides room for families to sprawl and live in harmony. Outside you'll be delighted to discover an exquisite sheltered courtyard and al fresco entertaining area hidden behind the security and privacy of the fully fenced section. Furthermore, the four-car garaging and workshop is a rare find. The flat 1138m2 land area presents many options; utilise the manicured lawn now and/or land-bank for future investment or development. Situated only minutes walk from the vibrancy of the central city, Esplanade, river walks, Manawatu Golf Club and Manawatu Lawn Tennis Club. Located directly opposite PNGHS and zoned for other quality schools, this home will exceed your families wants and desires. Call today for your private viewing opportunity.